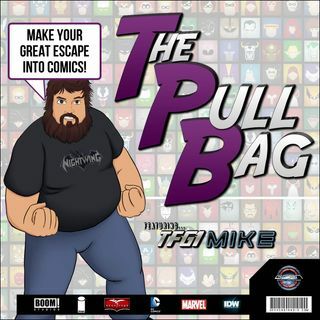 In the 130th episode of The Pull Bag we continue FIENDSHIP IS FRIENDSHIP FEBRUARY!!! Beatlesdiva the "Pinkie Pie of Podcasting" Joins TFG1Mike in reviewing Pony Tales Volume 2! In this ep we talk about the 6 stories that make up the Friendship that is Magic! And as always remember to MAKE YOUR GREAT ESCAPE into Comics!!!! WHAT WOULD BEATLESDIVA'S CUTIE MARK BE....?